My clients trust me. They share personal information, they take me into their confidence, they hand over difficult problems for me to solve. It is a humbling experience to be trusted and feels good. However their trust in me isn’t automatic, so how did I gain it? It starts from just the small things, such as turning up to an appointment on time and being prepared. It is about being confidential, non judgemental and empathetic. It is about doing the things that I say I’m going to do. Trust is one of the biggest markers of success in an organisation. The more a manager can trust his/her staff to get on with achieving their outcomes, the more he/she can get on with the job of leading. How does trust become implicit in an organisation? For example if a head of service asks his team to cut their IT budget and then is seen with a state of the art laptop – it sends a mixed message. If he is not being mindful of costs why should they? Trust erodes when deadlines are repeatedly missed, promises are broken, and absenteeism is high. Organisations often don’t spend enough time talking about trust and it’s role within the organisation. 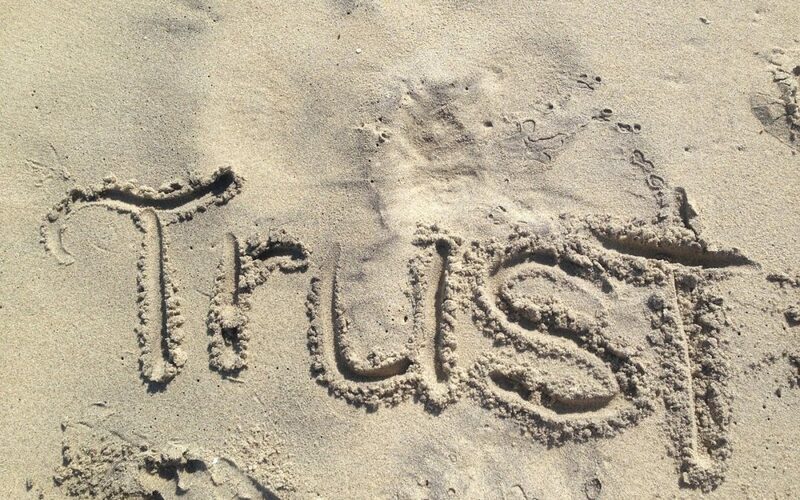 Trust is implicit in all the principles which underpin Action Learning, Coaching and Team Development. These tools provide a safe structure for conversations that will move an organisation from a culture of mistrust to one of trust. If you would like some support exploring and improving trust within your organisation, get in touch and we can discuss how I can help.